Best Western Tamarindo Vista Villas Hotel! • Who can participate? Only USA and Canada residents. • What to do? Travelers from USA and Canada are invited to post in our Facebook Page https://www.facebook.com/CostaRicaVacations1 their best travel photo under the hashtag: #PhotoContestCostaRicaVacations . The caption of the picture should include full name, email address and a short description of the picture (no more than 50 words). • What kind of pictures can participate? Any kind from anywhere as long as they are part of a vacation. • When should I send the picture? You have time from May 1 2017 to June 15, 2017. • When is the winner announced? July 1 2017. • 6 nights for two people in Best Western Tamarindo Vista Villas Hotel. • Room with ocean view. Breakfast included. • The prize will be valid from 1 July 2017 till 1 July 2018. The winners will be announced in July 2017. • The prize is subject to open availability at the hotel. • Dates that are not available on: Tamarindo Marathon (September 10-17), Christmas (December 19-26) New Year (December 26-January 2) or Easter 2018 (March 25- April 1, 2018). 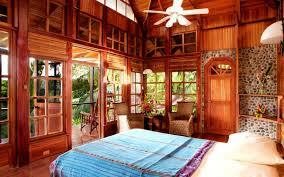 • Transfer from Liberia to Tamarindo, Costa Rica is included. 1. Canadian and US resident only. 3. We’ll only consider one photograph from each person. 4. We won´t consider photos that have been published elsewhere. 5. Participants must send a caption of up to 50 words with full contact information and also information where it was taken, what’s happening in the shot and what inspired them to take it.